Many people think that once you have been declared bankrupt, you no longer have access to the everyday financial products that are available to people with little or no credit problems or history of debt. That is not always the case, it is possible to get a mortgage after being declared bankrupt, you just need to know the best way to go about it. First, it is important to understand that your Bankrupt Status means that you have to look a little harder when you want to apply for financial products such as mortgages. The best interest rates available to other prospective mortgage customers will not apply to you, as your bankrupt status, even though it may have been wiped clean, will still present you to any financial institution as being a greater risk. It is however, possible to take steps to ensure that you do not end up having to pay more than you have to for a mortgage, and there are a number of specialists out there dedicated to finding the right mortgage product for people in your position. The three main types of organisations that can help you to obtain a mortgage after bankruptcy are lenders, brokers and introducers. Sometimes it is worth contacting mortgage lenders directly, to find out what mortgages, and mortgage rates, they have available for borrowers with a history of bankruptcy. Many people emerge from bankruptcy having developed a good relationship with their Creditors, so it doesn’t hurt to ask them to take this into account when considering your application. If nothing else, once you have an idea of the sort of interest rates you would be expected to pay from lenders on the high street, you will be able to discover whether there are other, specialist, deals to be found elsewhere in the marketplace. The good news is that there are specialist mortgage brokers out there with access to better deals for people with a history of bankruptcy. They will generally have access to a large number of lenders and, having undertaken a thorough ‘fact-find’ of your personal circumstances (including the details surrounding your bankruptcy) they will be able to match you with what should be the best mortgage available to suit your particular circumstances. 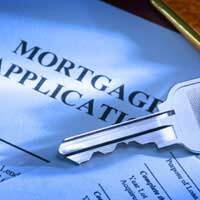 A mortgage broker will also be able to help you by taking you through the application process and providing you with impartial advice on the best type of mortgage for you, for example a fixed rate or variable rate mortgage, or an interest only or repayment mortgage. A mortgage introducer works similarly to a mortgage broker, but they are not able to provide you with financial advice as they are not qualified in this area. They can, however, take your details and put you in touch with a suitable broker or lender, depending on your requirements. Once you have found the right mortgage for you, you will need to make a start on your mortgage application. You should bear in mind that any lender will base their decision on whether to approve your application on your credit report. Many people who have been Discharged from Bankruptcy find that their credit report experiences a bit of a time lag in terms of carrying the right details about their credit status. It therefore makes sense to obtain a copy of your credit report – usually from either Experian or Equifax - before you make your application. That way you can apply to have any inaccuracies amended and avoid being turned down by mistake. Be warned, however, that repairing your credit history takes time and may involve correspondence with the credit agency and previous lenders to get your file up to date. Even if you have been declared bankrupt, you should still be eligible for a mortgage. It may, however, take slightly longer than usual. Be patient, and make sure that you talk to some recognised mortgage experts who will be able to provide you step by step advice and help you find the most competitive deal.